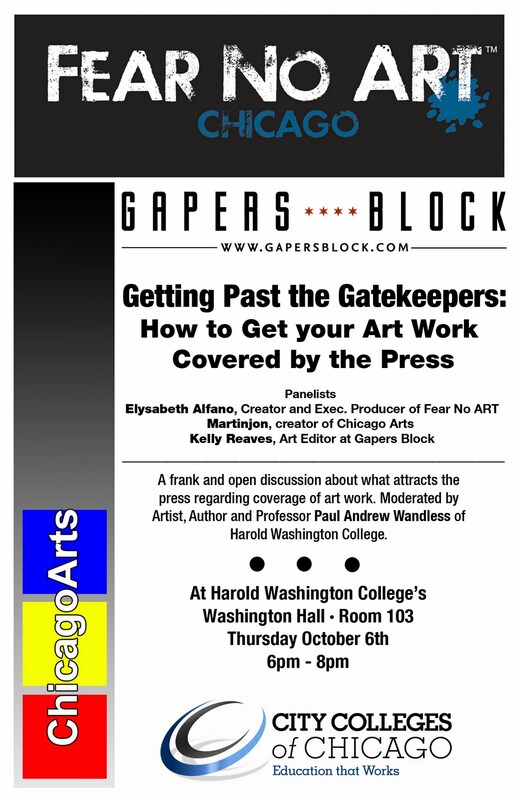 Panelists Elysabeth Alfano, the Creator and Executive Producer of Fear No Art, MartinJon, who is behind the video interview series ChicagoArts and Kelly Reaves the art editor at Gapers Block, discuss what attracts the press regarding covering art work. 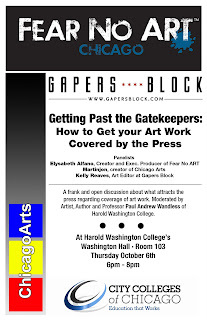 This Panel will be moderated by artist, author and professor Paul Andrew Wandless of Harold Washington College. So before you go to the first Thursday openings be sure to hit up this informative and artsy discussion.